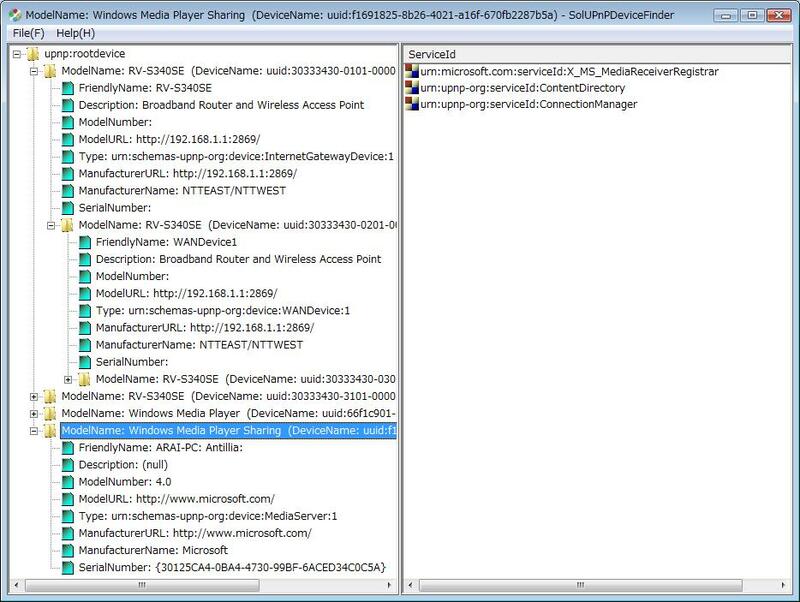 SolUPnPDeviceFinder is a Windows GUI tool to find UPnP(Universal Plug and Play) devices on a computer. See Figure 1. 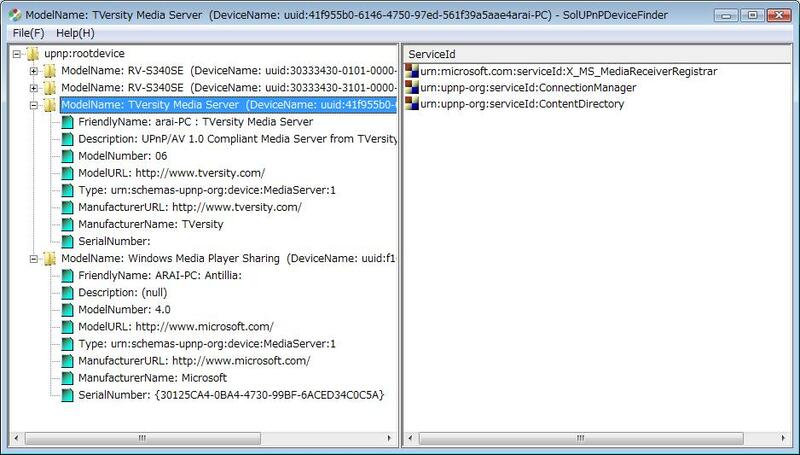 This is a tiny tool to find all UPnP devices from a rootdevice and show them in a treeview, and shows serviceId for each device in a listview. See Figure 2. For other device of UPnP compliant Media Server, see Figure 3.